If you’re like me, continually searching for that perfect pair of sunglasses then stop, I’ve found them in the luxury eyewear brand BARTON PERREIRA. Only in their 6th season BARTON PERREIRA has established themselves as a leader in the luxury eyewear market by blending revolutionary technology with unsurpassed craftsmanship’s and ingenious design. BARTON PERREIRA eyewear is not mass-produced like most eyewear companies. Each BARTON PERREIRA frame is handmade by skilled artisans, in limited quantities making each piece as exclusive and distinctive as the wearer. For the brands Fall/Winter 2010 collection, designer PATTY PERREIRA found inspiration in pop-culture figures spanning several decades and genres. “In many ways, this collection is stylistically contradictory, music and art have always played such an important influence on my design. My musical tastes range from Dylan to Marley to Blondie to everything (well almost) in-between; I think that wide range is reflective in this collection” says PERREIRA. Perreira discovered her color palette on a recent trip to Jamaica where she was stimulated by nature resulting in a range of palliative colors such as Brown Sugar, Black Crystal Mesh, Concrete Jungle, Fern Gully, Stonehenge and Lavenzure. 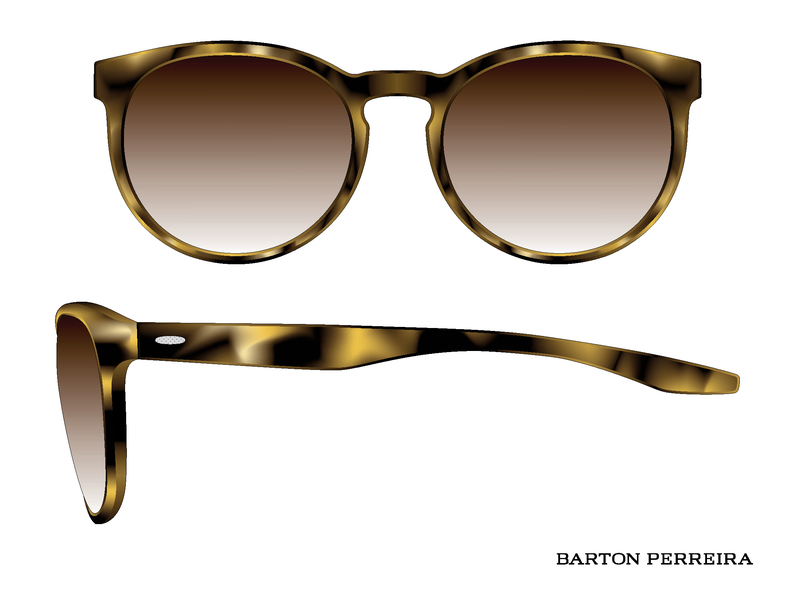 With her Fall/Winter 2010 collection Perreira introduces several new styles to the BARTON PERREIRA family of sunglasses and optical. BRASCO – This zyl and metal frame is beautifully contoured with grille filigree textured custom eye wire and end pieces. 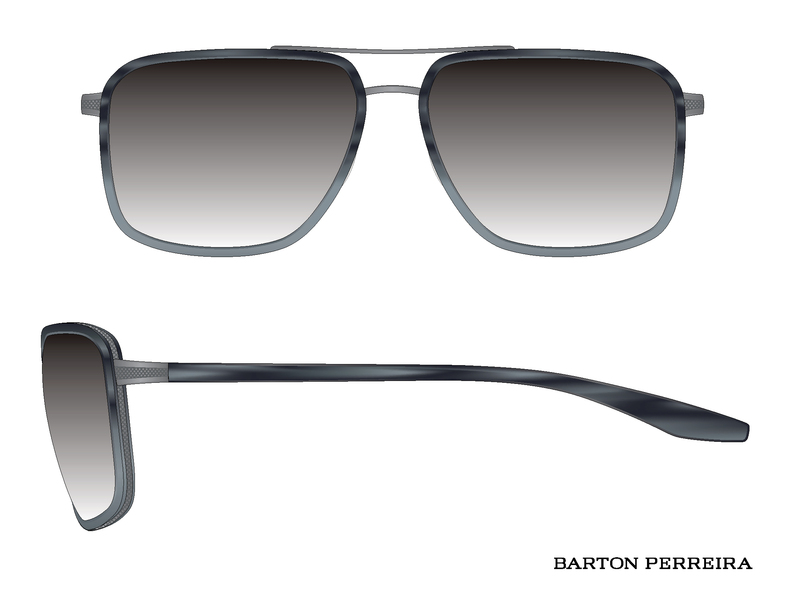 This modern take on the aviator frame comes with Japanese CR39 Polarized lenses in exclusive BARTON PERREIRA colors. SERENE – these elegant 70’s inspired butterfly sunglass is understated yet elegant, perfectly accented with hand painted enamel detailing on ultra-light Titanium. This frame is destined to be a hit with celebrities. WINDSONG – This sunglass pays homage to Debbie Harry. This hand polished zyl frame’s shapely contours are a fantastic blend of past, present and future. 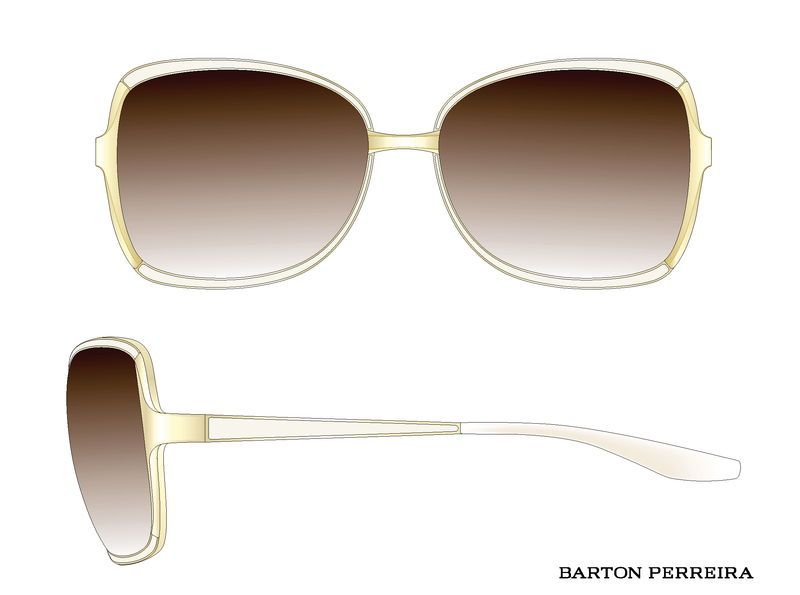 BARTON PERREIRA also offers luxury optical, clips and a jeweled collection.